This years must have recipe book, with over 90 mouth-watering recipes! 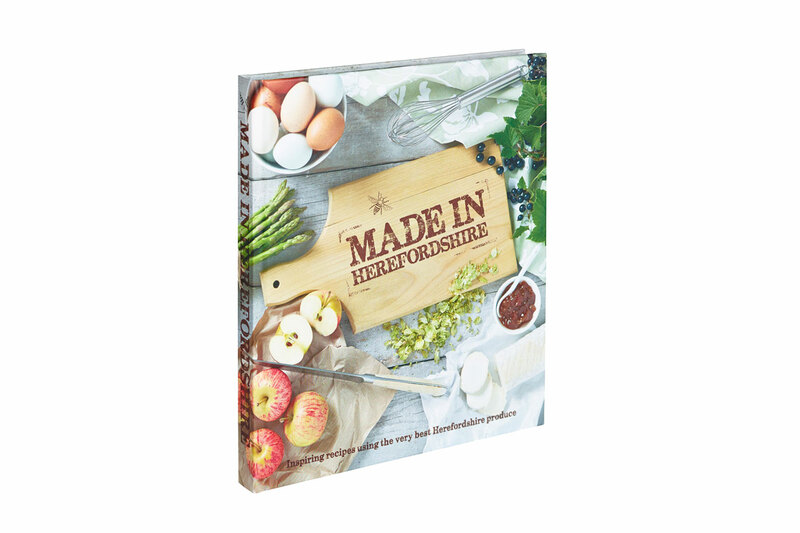 Made in Shropshire is a beautiful book full of mouth-watering recipes contributed by 86 gastronomic companies and individuals, which follows on from the hugely popular, sell-out success of Made in Herefordshire. As specialist food photographers, Rebecca and Simon Wild are enthusiastic about good food. Combining that with a passion for supporting local businesses, Made in Shropshire has been a labour of love. Here Rebecca and Simon, along with Jo Hilditch of British Cassis, have been joined by Beth Heath, Shropshire Food Ambassador, to embark on an exciting culinary adventure around the county. 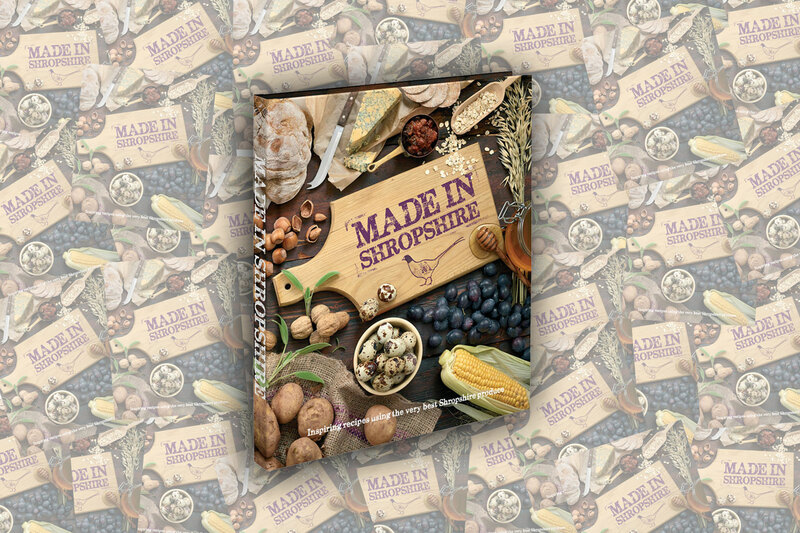 Made in Shropshire is a great compilation of recipes catering for every skill level, from everyday recipes for all the family, to something a little more adventurous for those looking for a culinary challenge. 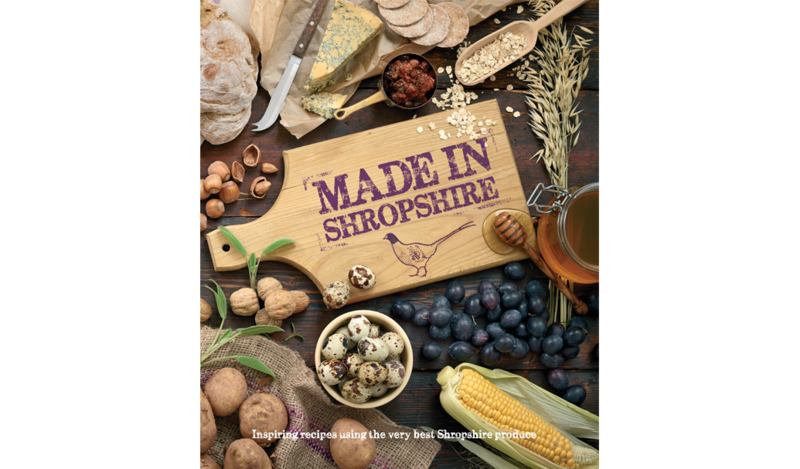 Made in Shropshire launched at the Ludlow Food Festival on the 11th September 2015, and recieved a great reception. Since then we have been busy organising stockists across Shropshire to sell this lovely book. Click here to see the current list of stockists, do keep checking back as we'll be adding more soon! We absolutely loved working with the amazing epicurean businesses of Shropshire to create our very special recipe book. Below is a list of all the wonderful companies that were featured in the recipes, and links to their websites if you would like to know more, buy their products or find a stockist. Beautiful handmade delights created using the best natural ingredients. The UK’s number one Victorian attraction, a great day out for the whole family. 16th Century moated manor hotel with 26 ensuite rooms and restaurant. Taste, discover, enjoy. So much more than a farm shop. Farmers and cheesemakers producing award winning Cheshire cheese since 1952. We press and blend heritage apple varieties for depth of flavour. The Armoury is a truly impressive space with lovely windows looking over the River Severn. Roasting ethical and unique coffee from around the world since 1981. Artisan millers of award winning stone ground flours. Country house comfort for groups of up to 14 for walking, cycling, yoga, art, etc. Quality fishmongers and seafood suppliers with seafood bar. Farm shop, butchery, deli and cafe sited on the historic Battlefield of Shrewsbury. Artisan producers of cold pressed rapeseed oil. Beautiful bistro in lovely Ludlow, cooking up delicious homemade food with local ingredients. Artisan goats cheese from own herd of Saanen goats. Cookery school with farmhouse B&B, the perfect environment to develop your practical culinary skills. Artisan nut butters made with all natural ingredients. Artisan pork, bacon and ham curers, supplying discerning retailers, restaurants and manufacturers. Events caterer serving homemade chef prepared food from a pop-up kitchen. Damson gin made with Shropshire Prune damsons and Greenalls Gin. Specialist retailer of quality truffles, single bean and origin bars. Producing our own farm reared meats and produce. Award winning restaurant with rooms. 16th century coaching inn serving good quality home cooked food using the best of Shropshire’s produce. The soul of Egyptian cuisine, providing food tours, cultural team development, cooking events and culinary delights. Gourmet sausage rolls made with the finest local ingredients. Producer of pedigree Shropshire sheep. A cafe and restaurant specialising in locally sourced, globally inspired seasonal food and drink. 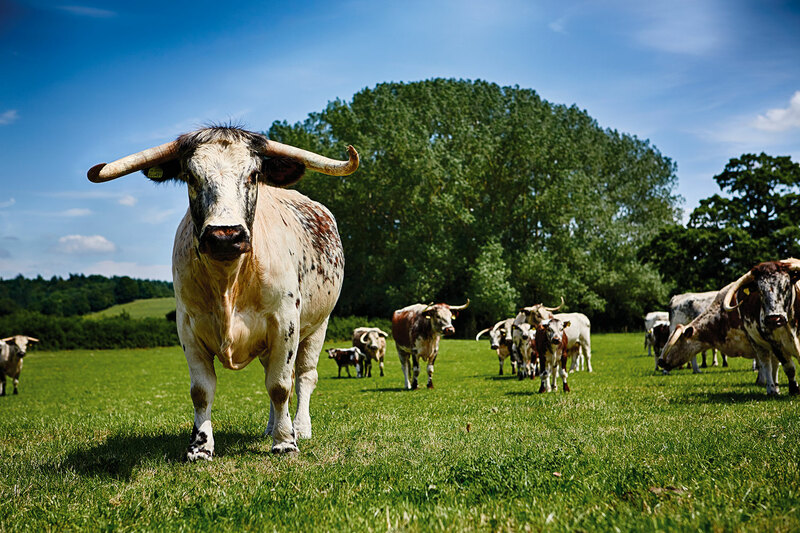 A 140 acre community owned organic farm with cafe, shop and free trails in the picturesque Tern Valley. Level 2 Theatre Severn restaurant with great river views and food. A first class food destination at stately home, Weston Park. Suppliers of organic, pasture fed, 35 day dry aged Longhorn beef. Producers of cold pressed extra virgin rapeseed oil and infusions. The home of local food. Tastefully extended Georgian manor house, with strong focus on local sourcing. Lifestyle and well-being blog, scattered with resources to inspire you to live a happier, healthier, balanced life. Award winning artisan chutneys, jams and marmalades. Classic cuisine with modern twists and flamboyant flavours. Shropshire brewer famed for award-winning beers and sustainable thinking. 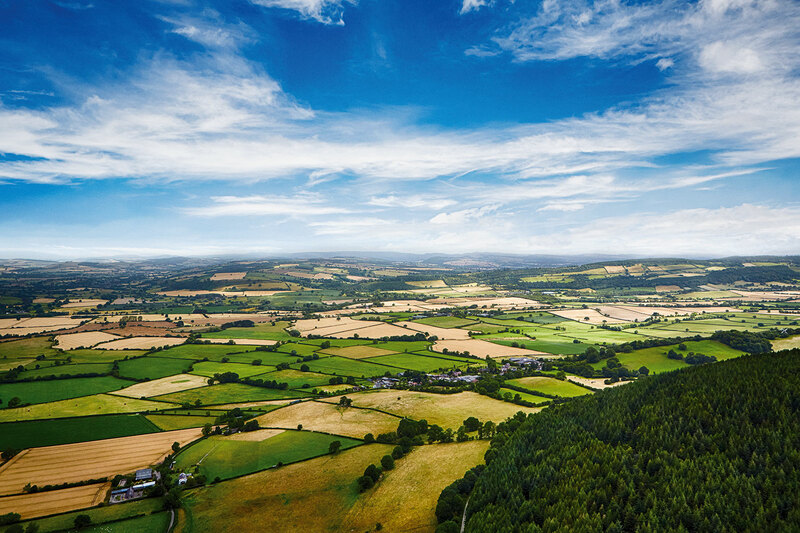 A relaxing luxury B&B in the beautiful Shropshire Hills. Modern Australian cuisine with Pacific Rim flavours, using local produce. Characterful and quirky pub with rooms, beautiful gardens and great food. BBQ, big pan and event caterer with a difference. Family run vineyard, with wine cafe and shop. Nationally awarded neighbourhood restaurant specialising in Thai cuisine fusing locally sourced ingredients. Producing high quality ales from a stunningly converted railway shed, in the heart of Ludlow. The finest of medieval ruined castles in glorious Shropshire countryside. Britain’s best food hall 2014 and best farm shop 2013. A festival celebrating food and drink from Ludlow and the Marches based inside Ludlow Castle, 2nd weekend in May and September. Producers of breakfast cereals, snack bars, nuts, dried fruits and confectionery. Distillers of apple and grape brandy, eau de vie and whisky. Teaching authentic Indian cooking and creating unique spice blends for you. Artisan bacon and gammon curers and traditional sausage producers. Slow baked traditional Swiss meringues with a crisp shell and soft centre. Producers of award winning homemade chutney, pickles, preserves, marmalade, mustard, sauces and honey. Family run farm, shop and tea room selling as much homemade and local produce as possible. Award winning artisan cheeses that are the essence of Shropshire. Makers and purveyors of classic cookware. Luxury restaurant with rooms located in the Downton Gorge site of special scientific interest. A unique hotel-based restaurant serving fresh, home-made cuisine. Superb Shropshire food in a real country pub owned by the community. 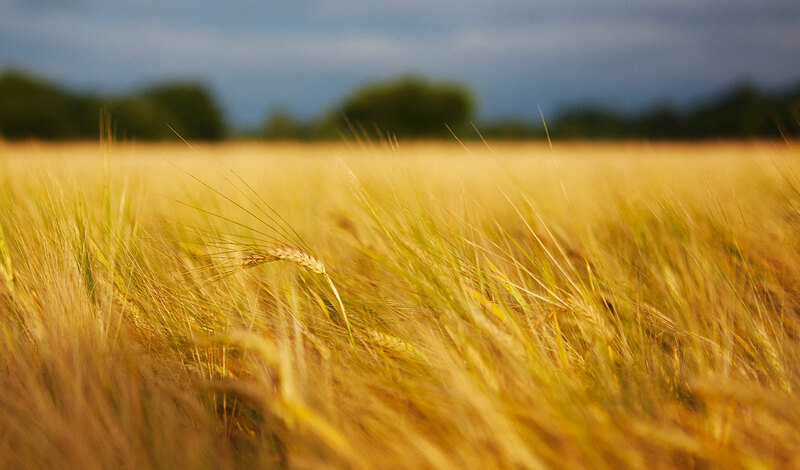 Growing, milling and hand packing organic wheat and oat products. Fine dining restaurant and independent hotel in historic Much Wenlock. Wholesaler of fresh and dried products to the trade. Further education college in Shrewsbury with a renowned hospitality and catering department. Flowers, fireworks and fun for all the Family – held in the Quarry in August. A festival of food and drink, with local craft, live music and tons of family entertainment, on the last weekend of June. Artisan producer of luxury ice cream and sorbets using locally sourced ingredients. Small family owned company producing quality stuffing mixes, world blend spice mixes – great store cupboard essentials. Award winning village shop with a passion for great local food! Handmade cakes made in the traditional way. Craft baker of artisan breads. Hand thrown ceramics and hand crafted wooden serving and chopping boards, created to be used with food. Sandwich, juice bar, coffee shop, takeaway or eat in facilities. Producing gourmet hand-made vegetarian foods, including our Shroppie Pie. Luscious Liqueurs – fabulously fruity, funky and fun. Multi award winning handmade chocolates using high quality single origin chocolate and Shropshire ingredients. Family farm and CIC providing education about farming, food production and the environment; part-funded through the sale of tasty homemade pies. Artisan bacon curers and producers of speciality pork products. Shropshire based premium bottled water producer. Modern styled pub and rooms, cafe bar by day, grown up restaurant and bar every evening. 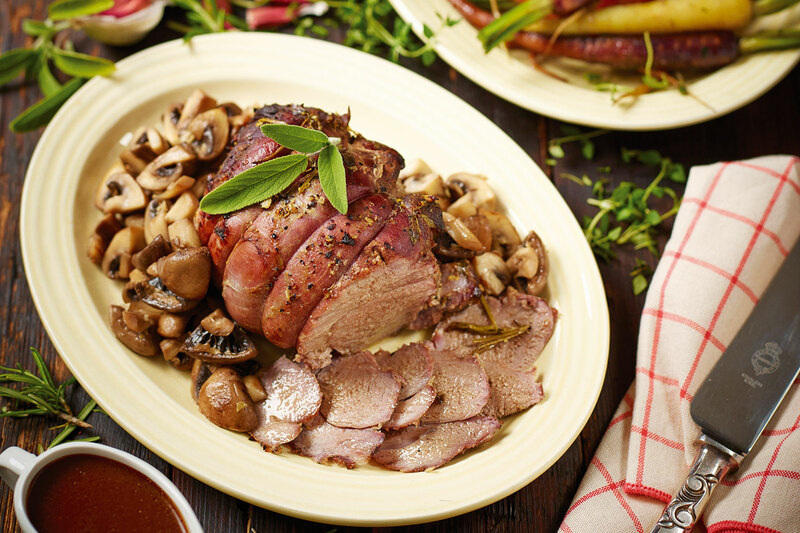 Supplier of wild game to wholesalers, retailers, food service and the public. Brewers of draught and bottled beers including Shropshire Lad and Lass. Growers and producers of English wine and cider. If you are looking for somewhere in Shropshire to buy this book then check out this list below of wonderful stockists.